Youngblood’s volumizing formula in the color Blackout, is my absolute favorite. And of course, I carry it at Star Brows! It combines conditioning benefits for perfectly extended, defined lashes. The exclusively designed brush allows for smooth, even application while it lifts and separates each lash from root to tip. 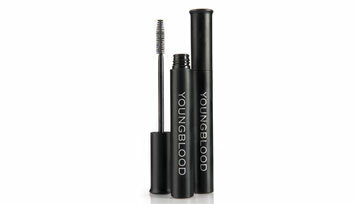 It keeps lashes strong and flexible with amino acids, vitamins and botanicals. It’s long-wearing, non-flaking and smudge-proof. Here are some good ones if your shopping in the drug or department stores. And, don’t forget LashExtend by SeneGence! It is the newest, most affordable and safest product on the market to grow lashes, no prescription required! You can expect to grow lashes by 25% in two weeks and there are no harmful side affects.